What is a quarterly giving statement? 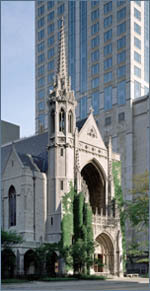 Quarterly giving statements are mailed on a quarterly basis to all donors who have made a gift or a pledge to Fourth Presbyterian Church or Chicago Lights during that calendar year. These statements are sent for donor review and information. Why is there a pledge balance listed for Project Second Century and / or the Organ Fund? I am not planning to pay that pledge this year. It was our hope that the balance of Project Second Century and / or Organ Fund pledges be fulfilled by December 31, 2015. We recognize that several years have passed since the start of this campaign and that individual situations may have changed. If you are no longer able to fulfill this commitment, please contact Ron Porras (312.252.3598). Why are some of my gifts not listed on this statement? Any non-deductible gifts such as United Way gifts, matching gifts from employers, and donor-advised fund gifts, are not listed on this statement. However, the fund totals listed at the bottom of this statement include the amounts of any non-deductible gifts. I purchased a ticket or item at a fundraising event, but the amount on the statement does not match the amount I paid. The amount listed on the statement reflects the portion of the purchase that is tax-deductible. The tax-deductible portion of the purchase is the amount that exceeds the fair market value of the item or the goods and services cost associated with the ticket purchase. Some of my gifts weren’t directed the way in which I intended. What can I do to ensure that they get to the right fund? We are committed to directing gifts in the way that our donors intend. However, we always appreciate clear direction to ensure we get it right. Please make your checks payable to Fourth Presbyterian Church or to Chicago Lights. If your gift should be directed to a specific fund or program, please note that clearly on the memo line of your check or in a note accompanying it. Please note that gifts without direction are applied to the Fourth Church operating fund. You can also set up one-time or recurring gifts to the funds you choose using our online giving system. For further assistance, please contact Ron Porras, Donor Information and Gifts Processing Coordinator (312.252.3598). Last year I paid my pledge online automatically, but this year my card hasn’t been charged. Why? Automatic gift payments do not carry over from year-to-year without express written direction from the donor in the way of a pledge card or email. 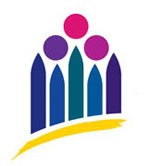 Members are welcome to update their account information online or complete a pledge card indicating they would like us to continue their pledge with the information on file. Whom can I contact for additional information? Please contact Ron Porras, Donor Information and Gifts Processing Coordinator (312.252.3598), with any additional questions or concerns about giving or your quarterly giving statement.